Franklin Matters: "local aid will increase each year apace with state tax revenue"
"local aid will increase each year apace with state tax revenue"
"The annual spending bill Gov. Charlie Baker’s administration will file next week will increase general local aid by $30 million this year, the lieutenant governor told a conference of municipal officials Friday morning. Administration officials said they will proposed $75 million in spending to protect communities from impacts of climate change, with the spending supported by an increase in the excise tax paid on real estate transfers. The administration this year will also seek a $200 million authorization for the Chapter 90 road and bridge repair program. City and town officials have sought larger and multi-year authorizations, saying road conditions warrant more spending." 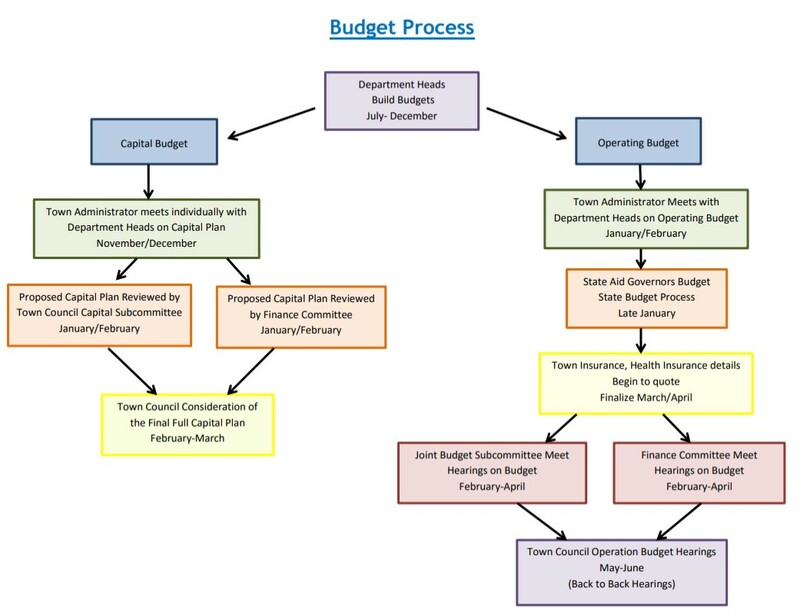 The MA budget process kicks of in earnest when the Governor delivers his proposal by the 4th Wednesday of January. Franklin depends upon State funding for its budget. Funding for schools, local aid and roads account for approx 30% of the total Franklin budget. Getting a reasonable estimate of this funding from the State enables Franklin to start its own budget cycle for FY 2020. 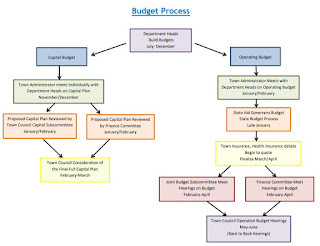 The State budget cycle for FY 2019 (the current budget) is shown here. The steps are the same for the new budget cycle for FY 2020.